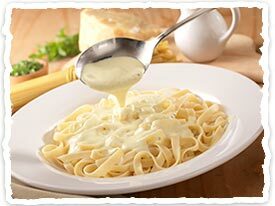 Ok, so I love the Olive Garden, and how can you beat their Alfredo sauce. It makes anything and everything taste delish. This recipe is from there web site, and tastes exactly like what you would get at their restaurant at a fraction of the cost.